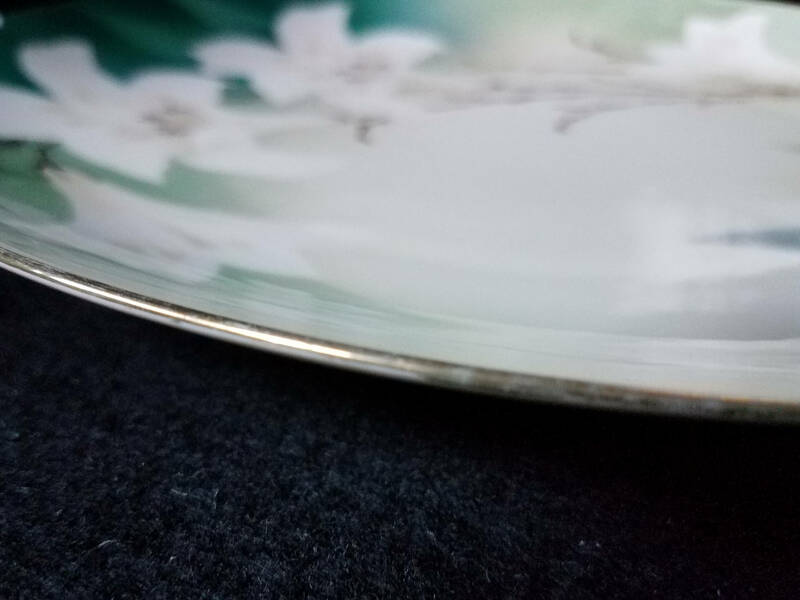 This plate looks new but is actually from the 1920's! 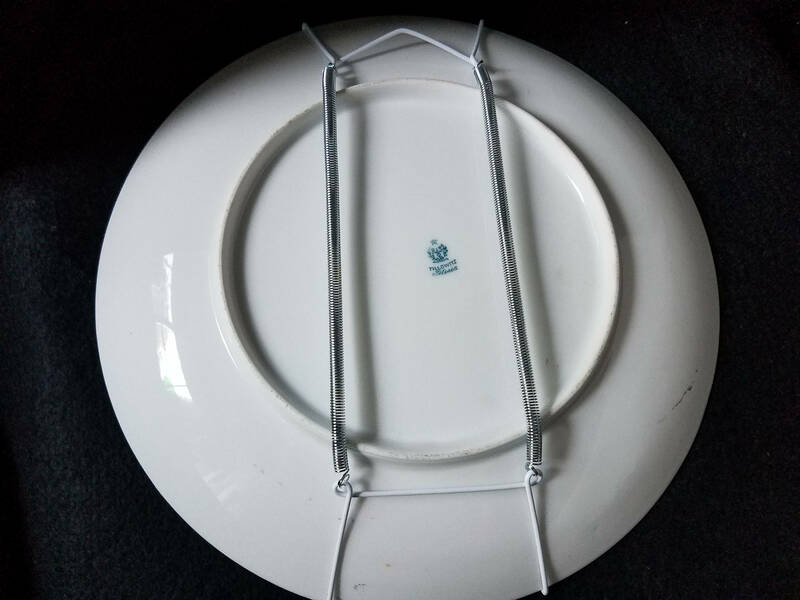 It was made by Reinhold Schlegelmilch a German china company that operated from 1869 until 1956. 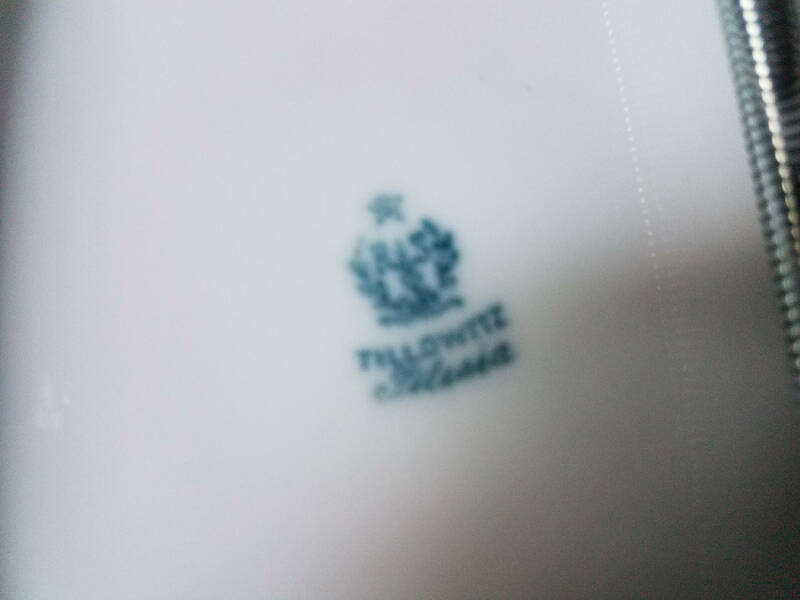 There were several different places that RS China was made and one of them was Tillowitz which was in Germany (and is now Poland) which operated from 1894 until the communists took it over in 1945. There were a lot of these plates that were forgeries but this one is the real deal. I know the person that owns it and it was part of her grandmothers collection. It has been quietly packed and hidden away for many, many years. 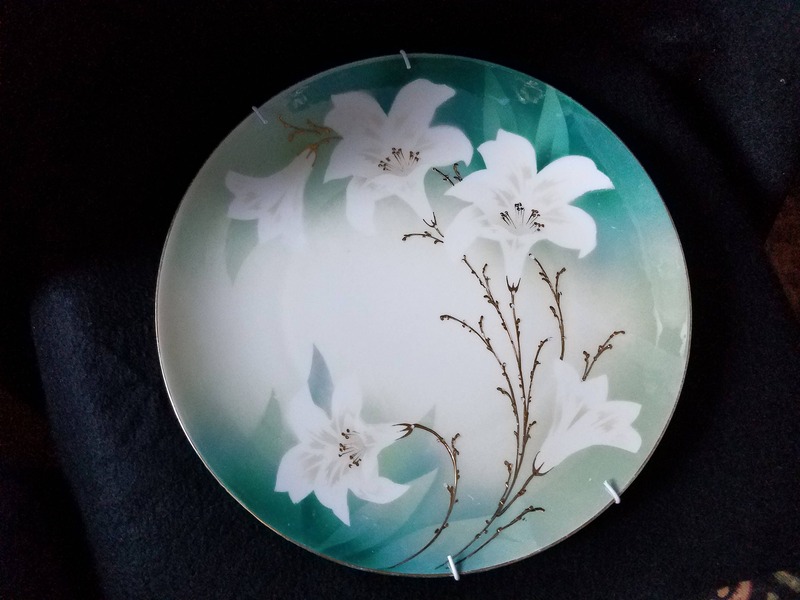 This plate is 11" in diameter and features a teal green background of leaves with white and tan lilies. 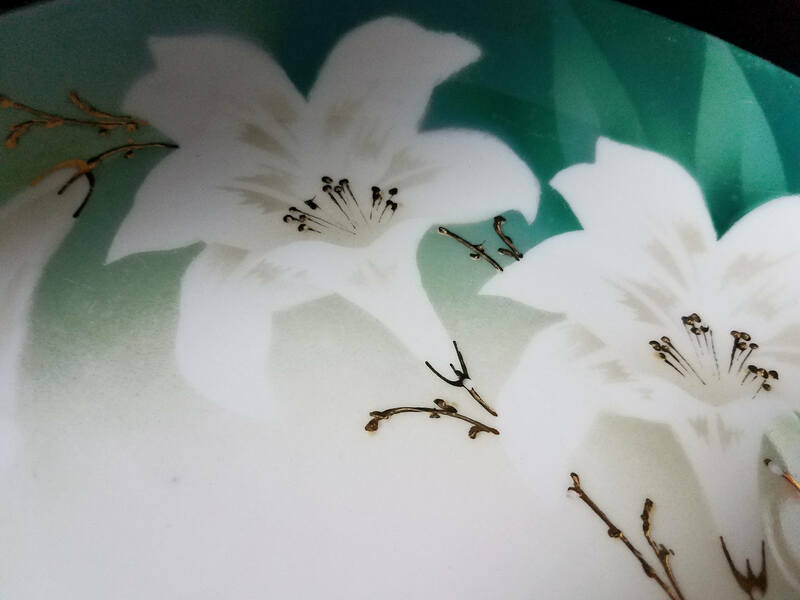 It has raised gold stems and stamens painted inside the flowers. It is absolutely stunning. 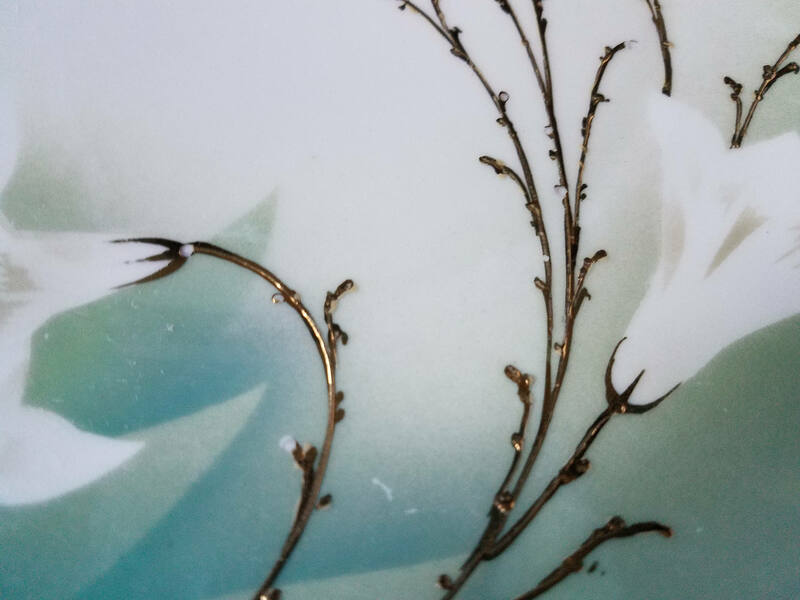 The edge is also gilded.